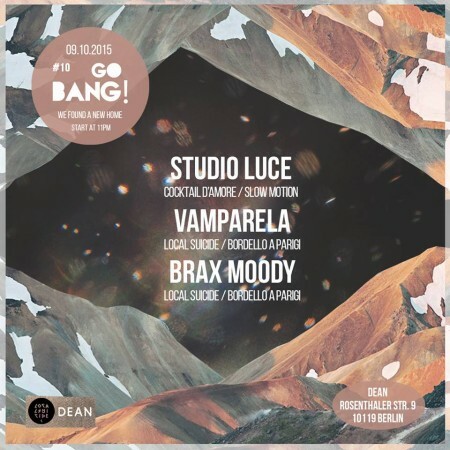 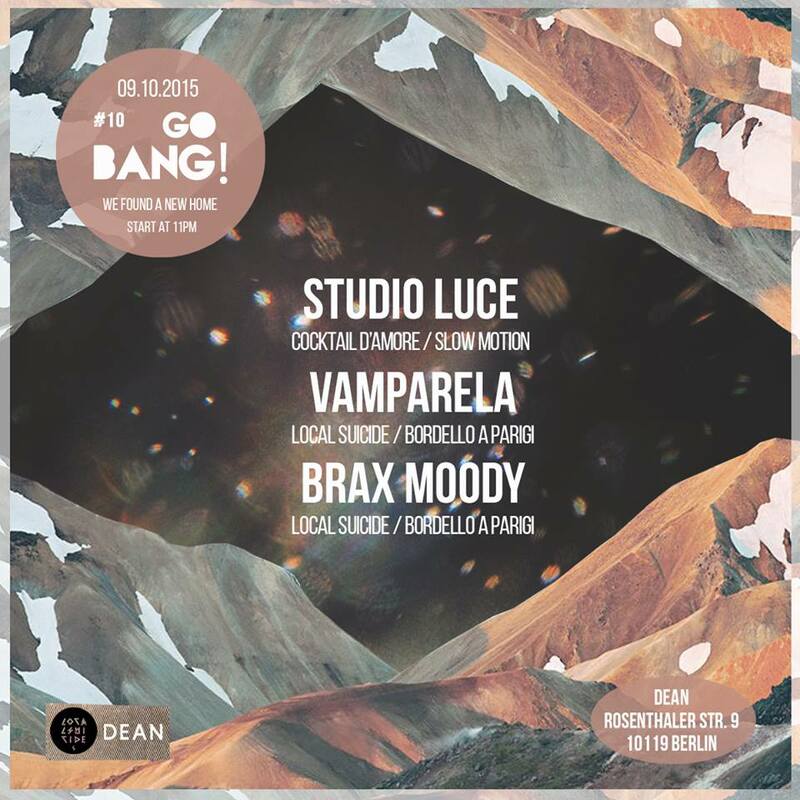 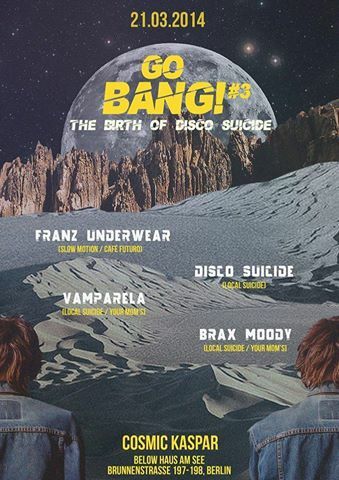 Run by duo Brax Moody & Vamparela – aka Local Suicide who, aside from DJing around the world and managing careers in the music industry, also run the ever popular webzine localsuicide.com, and Franz Underwear, head-honcho of nu-disco label Slow Motion and organiser of the Berlin via Italy parties Wrong Era. The Go Bang! 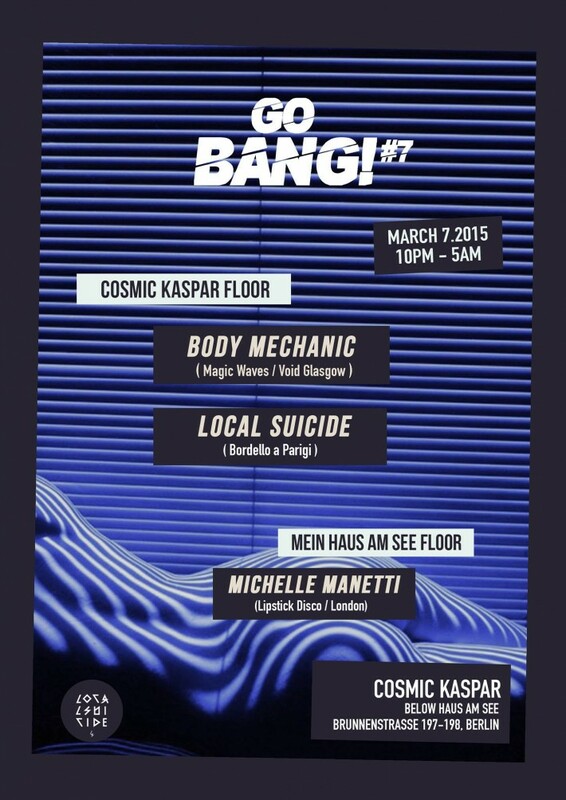 parties are a new addition to the Berlin party scene, a celebration of Diisco, Italo and House. The nights take place at Berlin-Mitte locations and have become a regular fixture on the clubbing map for Disco, House, and Tech-House fans alike. 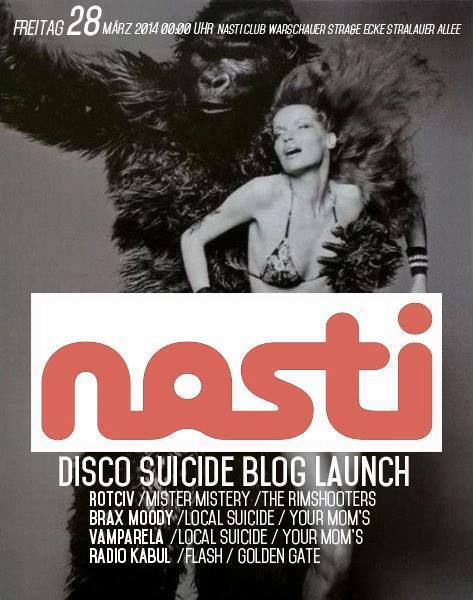 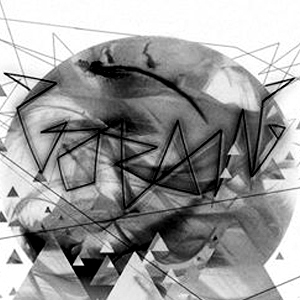 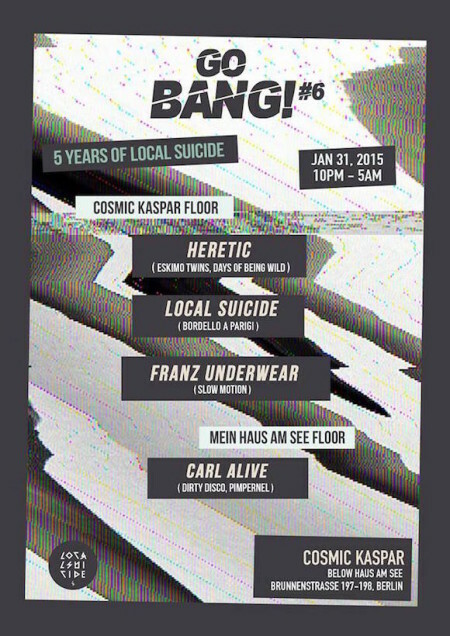 All you have to do is put on your dancing shoes and Go Bang! 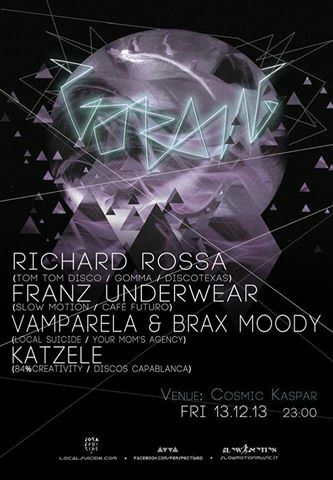 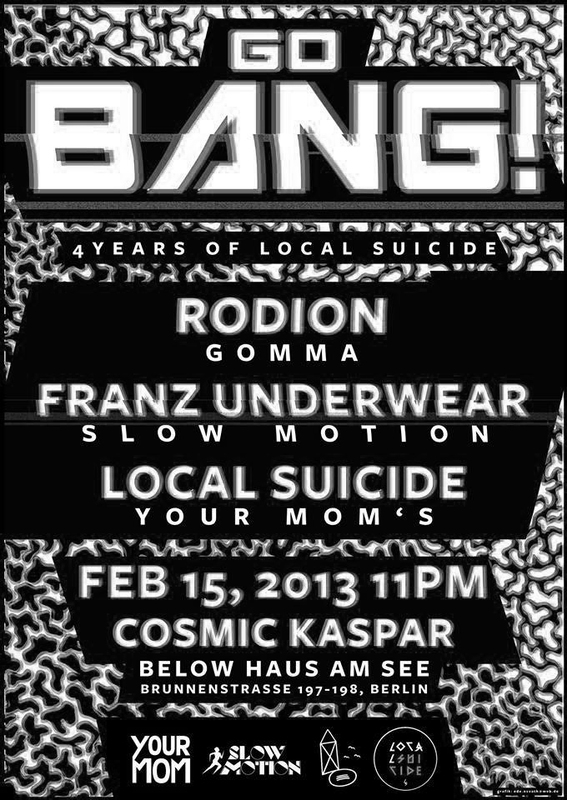 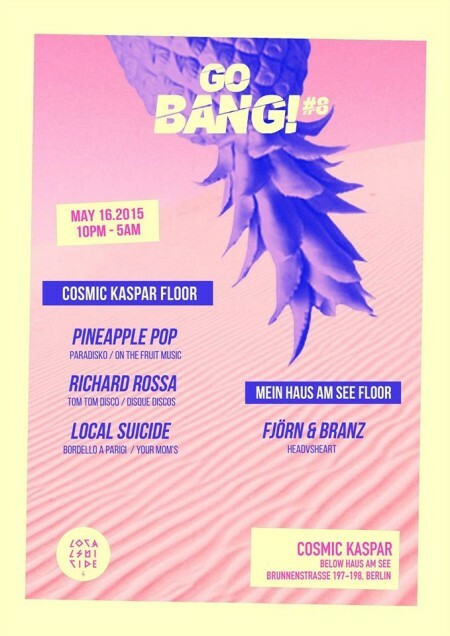 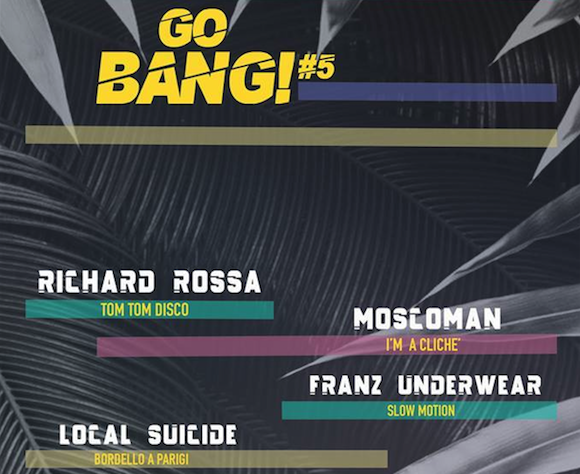 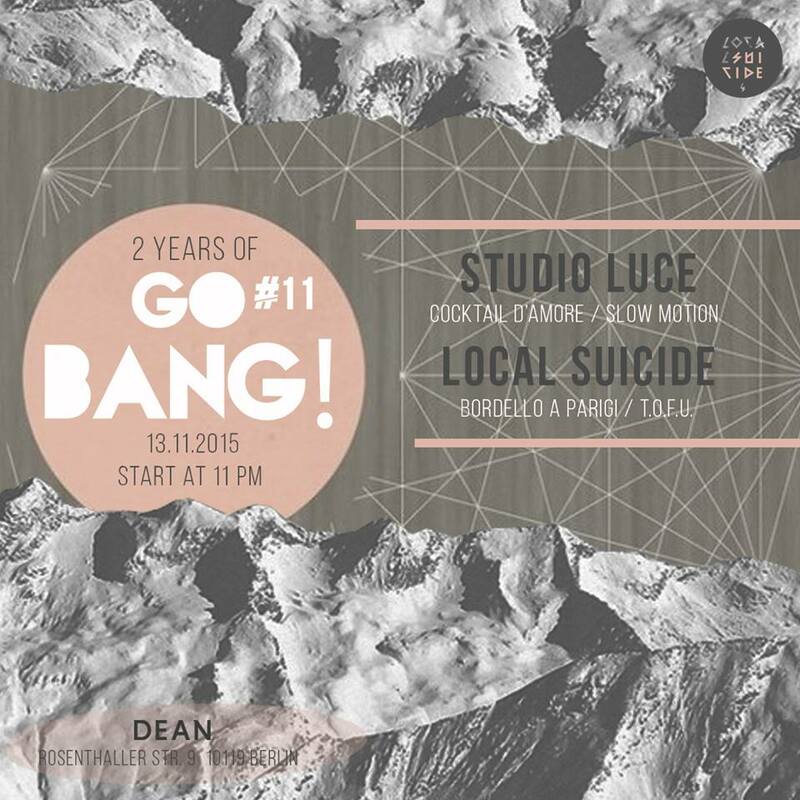 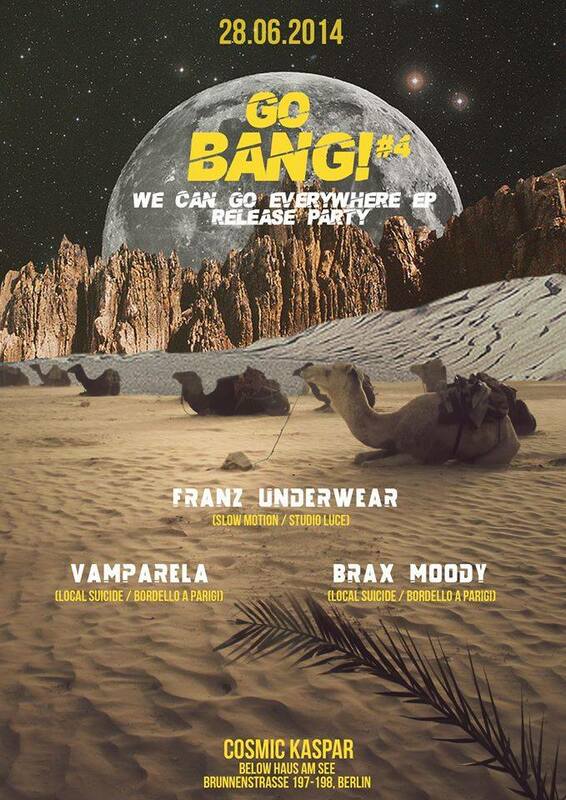 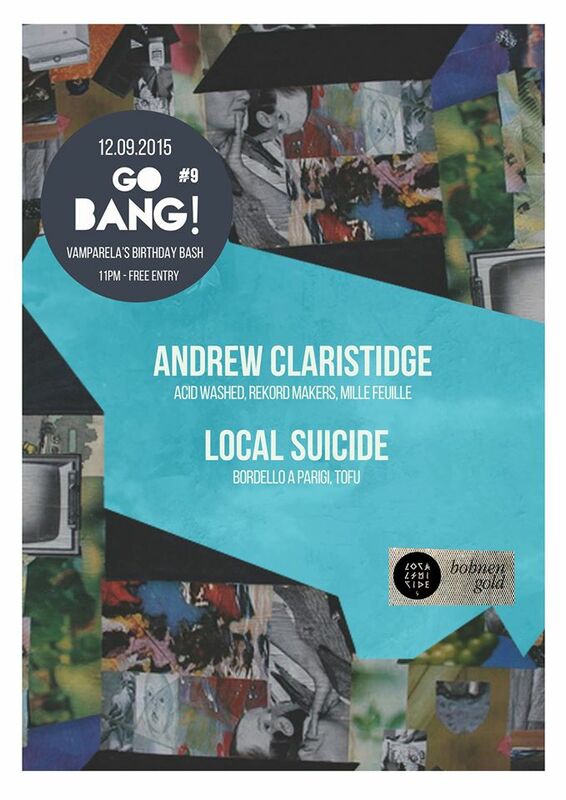 Producers Local Suicide also host party series called T.O.F.U (Too Old For Understatement) in Berlin at Bohnengold.